Click your city below to register! Q. Why are you changing the name from Race for the Cure to More Than Pink Walk? A. 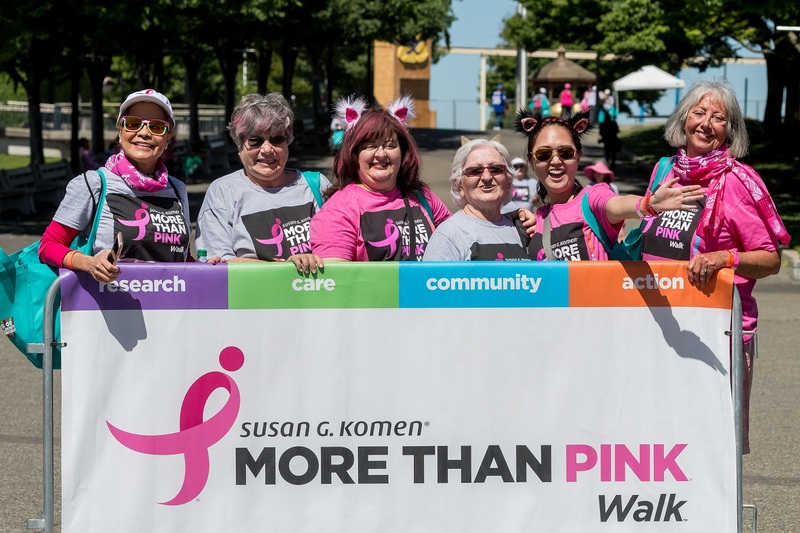 This change is part of the ongoing evolution of Susan G. Komen, and builds on Komen’s successful and engaging More Than Pink brand platform first introduced in 2016 with the premise that if pink = awareness, then More Than Pink = action. Being More Than Pink is a proactive call to do more in the fight against breast cancer – MORE for research, MORE for our communities, MORE for caring for those living with breast cancer – especially metastatic breast cancer – and give MORE encouragement to take action to find the cures. Q. Does this mean Komen is no longer in a hurry to cure breast cancer? A. Absolutely not! Our commitment to creating a world without breast cancer is stronger than ever. This new approach is part of an ongoing evolution of our organization intended to better connect the public to the impact they’re making on our work to save lives, and in turn, help us generate the critical financial support needed for us to be able to accomplish our Bold Goal – to reduce the number of breast cancer deaths by 50% in the U.S. by 2026. Q. Is Komen moving away from pink? A. Absolutely not. Pink is the principal color of the breast cancer movement and remains our signature color as well. You will still see a lot of pink at the walk, including as the traditional color of our breast cancer survivors. However, this evolution reinforces that the movement is more than a color, and that it’s not enough just to wear pink. We are a community of people who want to do more for research, more for our communities, more for caring for those living with breast cancer – including metastatic breast cancer – and more action to get us to the cures. Q. Other than the name change, what differences will I see? A. The biggest difference is that the More Than Pink Walk will no longer have a run element. 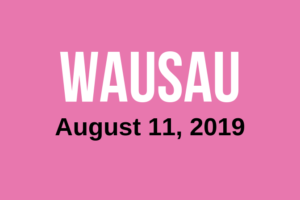 We believe the new walk will create a greater sense of community among participants and provide a more personalized, emotional experience for all who attend. And by focusing on the walk, we can maximize the amount of funds raised by the event to support our work to save lives and end breast cancer. Q. How will people living with metastatic breast cancer be included in the event? A. We are passionate about saving lives from breast cancer and bringing more awareness to people living with metastatic disease (which is responsible for most of the 40,000 U.S. breast cancer deaths each year), who often feel left out of many breast cancer events. The reality is their experience inspires us to work harder and to do more. The More Than Pink Walk enables us to better acknowledge and welcome these members of our breast cancer family at the event, joining us at our Hope Village and through recognition as part of the new opening ceremony. Q. Will there still be a running race? A. No. By focusing solely on a walk, we can create a better sense of community, provide a more personal and emotionally impactful experience and, by eliminating some of the expenses associated with certifying and managing a timed race, maximize the funds available to support our life saving work. Q. Will the event continue to be a 5k? A. Since the fundraising event is now solely a walk, the distance is less important. The specific distance of each event will be tailored to local conditions, terrain and the size needed to provide an engaging experience. Q. Do I still get a T-shirt? A. Yes, every registered participant will receive one T-shirt.